Picture spammage from Christmas Party at TTR’s with the TBs… Enjoy!!! 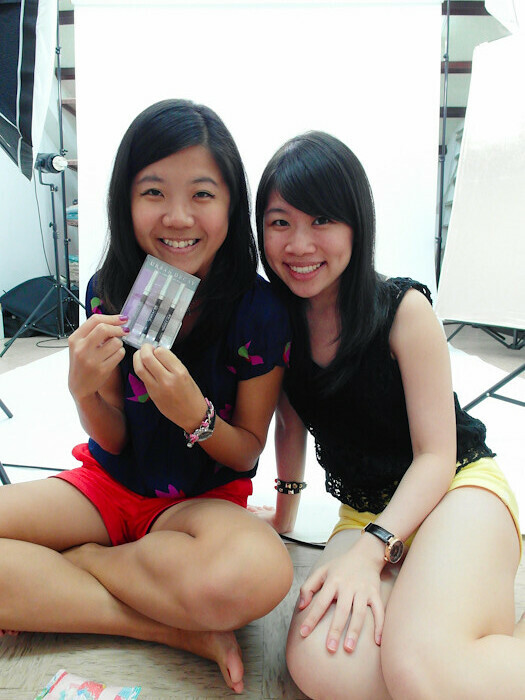 Pre-food: We were being damn silly, the girls had insane fun playing with all of Joyce’s photoshoot accessories haha! Mini scare when Joyce said the air-conditioning didn’t want to come on, turned out that this absent minded girl forgot to turn on the main switch LOL. Nancy and Wendy were at my office when we heard the news and started packing up my super messy office for impromptu change of plans (since my office is just in the building behind TTR’s) but PHEW, thank God we didn’t have to re-locate the party to my office afterall cos my office is utterly disgraceful at this point of time! The best party food, in my humble opinion, has got to be Dominos! Plus delivery only takes 30 minutes. I LOVE Dominos, from the pizza to the drumlets to the chocolate lava cakeeee! Unfortunately, Dominos was like too busy or something and they weren’t taking in delivery orders… thus we resorted to Pizza Hut instead! Ok, not too bad. I love Pizza Hut’s drumlets too! Apart from the pizza, we had cupcakes that HJ specially brought for us, and chocolates from Noi! What a feast.. thoroughly pigged out and enjoyed the food! Diet can wait til all the partying’s over. Heh. Noi, Nancy, HJ and Joyce! This Christmas pizza thingy from Pizza Hut was pretty delish! Abit too much cheese in the crust for me, but the other parts were awesome. Love the ham and sausage toppings! Standard Chicken Supreme haha. And of course we also ordered my must-have Hawaiian!! All pigged out. Moving on to the exciting part: GIFT EXCHANGE! This year, we upped the stakes, from $20 last year to $30 this year hahahaha which is actually easier I think, cos sometimes it’s so hard to get something decent for $20! Picture with the presents we bought. I swear my present is damn good, and lucky Debs got it!!! Consisting of an entire makeup set. From mascara, to concealer, to lip balm and mooore!!! LOL. REALLY VERY GOOD! Perfect for Debs cos she said she was running out of makeup! Yay!!! Glad they will be coming into handy! And what I got!!! Damn awesome!!! Laneige Water Sleeping Pack EX from HJ! Thank youuuu!!! 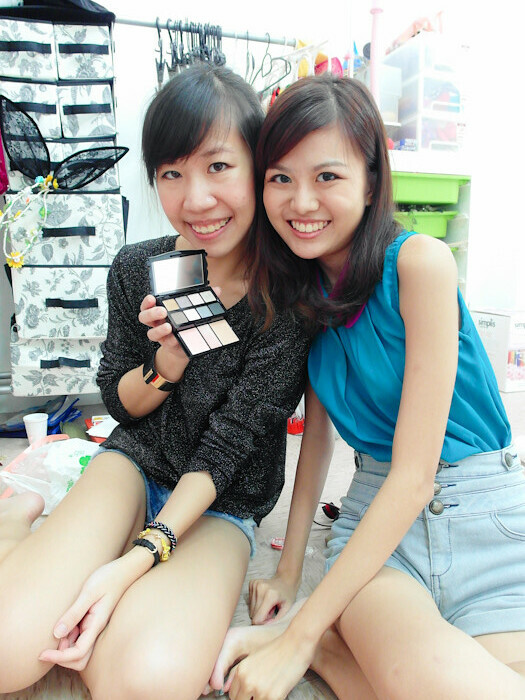 Joyce’s present is pretty awesome as well, a Too-Faced eyeshadow palette from Fel!!! Mad nice!! Fel got a cute pouch and this adorable cork board stand thingy from Noi!! Some green tea thingy I dont know what hahahaha from Joyce to HJ! 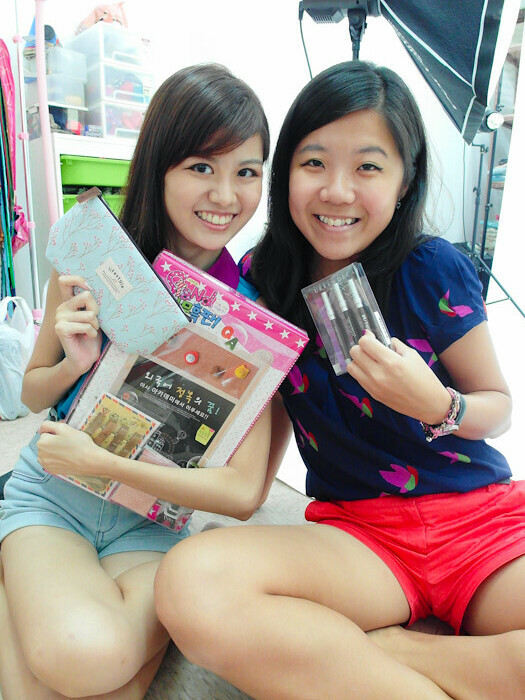 Nancy and Wendy got each other’s presents! Face Shop products and Benefit makeup kit! Nancy, must use it hor, don’t put it to waste! I think this year, everyone’s very happy with their presents!!! I know I love mine! Wheee! And other little presents from Wendy and Fel! Aww!! I feel so loved! 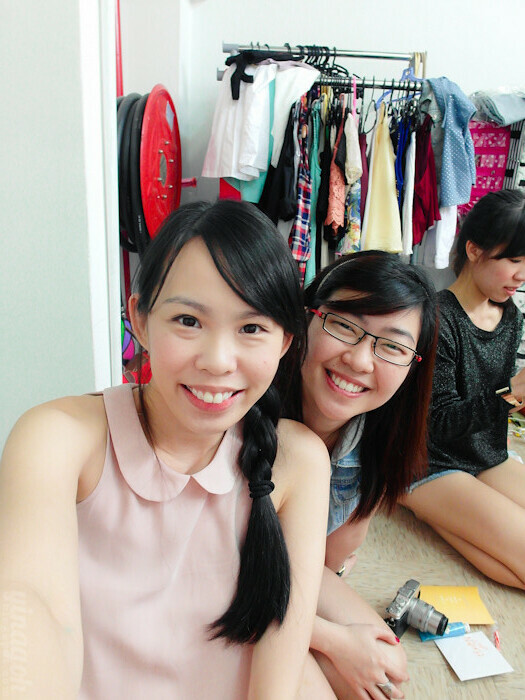 These two camwhoring with my new flip screen camera hahaha. TIME FOR DESSERTS!!! Omg.. giant box of Krispy Kreme bought by Joyce’s model, and the super beautiful cupcakes that were made by HJ’s student! HOW NOT TO GET FAT? And of course, everyone’s next agenda: SHOPPING. The girls had SO MUCH FUN SHOPPING seriously!!! 一个两个，全部都有狂卖症! Hahahaha. Outfit! Candy Empire Shorts V2, my FAVOURITE shorts evaaarrrrrr!!! Paired it with the Evelyn Lace Top previously launched from TheVelvetDolls. I can’t remember what the new colors are, haha. But hope to launch the shorts soon!!! Mad love lah. I wish everyone a beautiful 2013! May the year bring about fresh blessings, joy and happiness! Previous Post Christmas and Gratitude: Dinner at Watami! 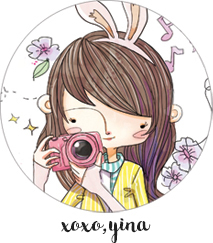 Next Post 2D1N at Awana Genting Highlands Golf and Country Resort!